Getting approved for a jumbo mortgage loan is pretty much the same as other mortgage programs today. Most lenders and banks offer the same basic suite of loan options and among them is the jumbo mortgage. A jumbo mortgage by nature is a loan amount that is greater than the conforming loan limit of $484,350 in most areas, higher in metropolitan areas deemed “high cost.” Yet beyond the amount borrowed are different types of mortgage loans available in the jumbo space. What programs are generally available for jumbo borrowers? Certainly the most popular choice in today’s marketplace given where interest rates remain are fixed rate loans. A fixed rate is a loan where the interest rate never changes throughout the life of the loan and is typically the preferred choice when interest rates are at relative lows. Most jumbo lenders provide fixed rate loan terms ranging from 10 to 30 years in five-year increments. This means you can select a 10, 15, 20, 25 or 30 year term. Which term is better? The longer term means a lower monthly payment, however, you will pay more in long term interest with an extended term loan. The 30 year fixed rate loan is perhaps the most popular choice with the 15 year fixed the second. The 30-year loan increases borrowing power due to the longer term. A 10 or 15-year term will have less interest paid to the lender but the monthly payments will be higher compared to a longer loan term. For example, take a $750,000 loan amount. Using a 30 year fixed rate of 4.75%, the principal and interest payment is $3,912. Now take that same loan amount and apply a 10-year rate of 4.50% and the monthly payment is $7,772 for a difference of $3,860 each month. That’s quite a difference. When selecting a loan term, try and find the ideal balance with a comfortable monthly payment that pays the lowest amount of interest as possible. A hybrid loan is an adjustable rate mortgage, or an ARM, that is fixed for an initial period of say 3, 5, 7 or 10 years. These loans are written as 3/1, 5/1, 7/1 and 10/1. At the end of the initial fixed term, the loan then turns into a mortgage that can adjust annually for the rest of the loan term. The advantage a hybrid has over a fixed rate is the lower initial interest rate. For example, a 30 year fixed rate jumbo loan might have a rate of say 4.75% yet a 5/1 hybrid might be at 4.125% for the first five years. This can be a great option for those who do not anticipate owning the property before the hybrid adjusts. The hybrid ARM can provide the lower monthly payment compared to the fixed. If someone isn’t sure and rates are at relative lows, a fixed rate option is the more prudent choice. Note: the interest rates highlighted above are only for demonstration purposes. 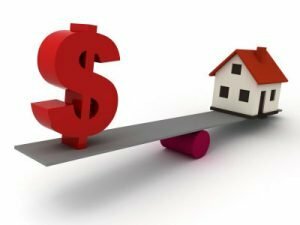 As for down payment required, there are many options today that require lower down payments when compared to a traditional 20% down from years ago. In fact, approved home buyers can now financing homes up to 95% loan to value. Buyers can learn more about the Jumbo credit and down payment requirements on the Jumbo Purchase page. Contact us today to speak with a loan advisor about current jumbo loan options before you get too much further in the home buying process. After a brief conversation with a loan officer, you’ll have a better idea about how much you can afford and what your monthly payments might be. Buyers can call 800-840-6449 or just send in the Quick Call form on this page.